Trials & Tribulations Of A Brummie Mummy: Win A Urban Decay Naked Basics Palette Or Urban Decay Ammo Palette. Win A Urban Decay Naked Basics Palette Or Urban Decay Ammo Palette. My blog will soon be turning three years old. I've come such a long way, though a lot of ups and downs. As a thank you for you all coming back and reading my blog. I have a fantastic giveaway for you. 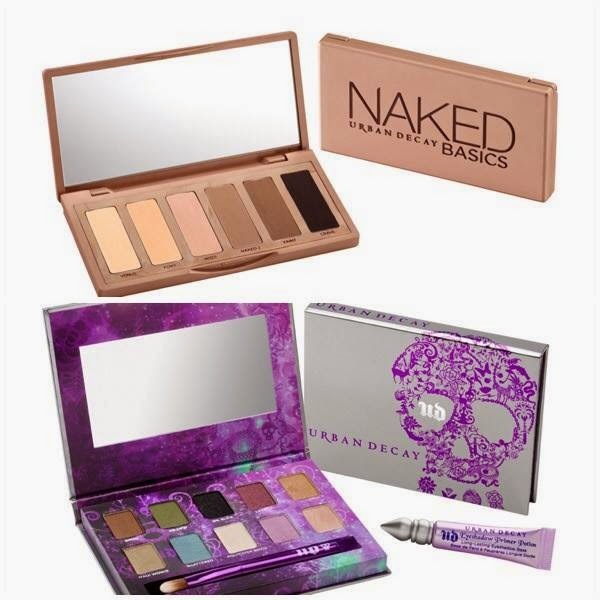 The winner will choose ONE of the following : Urban Decay Naked Basics Palette Or Urban Decay Ammo Palette. Urban Decay loaded this versatile matte palette with six stripped-down, Nakedly neutral shadows every woman needs in her beauty arsenal. It has everything you need for the perfect neutral matte eye—including four exclusive shades. One of Urban Decay’s most iconic palettes ever, this baby mixes the best of old-school Urban Decay (some of their all-time bestselling Eyeshadow shades) and new (their longest-lasting shadow formula ever). Urban Decay Ammo Palette comes fully loaded with ten shades no makeup junkie should be without — from neutral to vivid to all-out smoky. Also includes a shadow brush and a travel-size Eyeshadow Primer Potion. The prize consists of A Urban Decay Naked Basics Palette Or Urban Decay Ammo Palette. Brummie mummy is hosting the giveaway is nresponsible for sending the prize to the winner. Prize will be sent within 28 days to the winner. The competition closes on the 30/06/2014 The winner will be notified within 48 hours and The winner has 28 days from the date of contact from brummie mummy to respond with their address details, after which a new winner will be picked. I have used their Lip junkie Lip Gloss many times and love it! As of yet never tried before. I've never tried anything from urban decay, I really want to try the eyeshadow primer. I have not tried any yet. I really want to try there eyeshadow palette (Naked and Naked basics). I really love the primer potion, and I've had one of their palettes too before, colours are so vibrant! Yes, I love their products. I often use one of their shadows. They colour is really intense and the sparkly ones really, really glittery. I've not tried any but have heard brilliant reviews! Not familiar with these so would love to try them. I haven't tried Urban Decay yet, but I am hoping to. I have never had the pleasure of trying Urban Decay products before. Never tried Urban Decay products before. I have an Urban Decay lip pencil which is brilliant. I have never tried any. I must admit to using very few of the products, however I would very much love too. No I have never used these products, but I must say the Naked Palette looks fab! ive actually never used any UD products so would love to win this! I tried my friends naked palette 2 but have never owned any of their products myself, would love to try them! I've not tried it, but it sounds great. Not tried them, but my daughter loved the set I bought her one year. I have never tried it - but I would love the chance!!! Have never tried it before! I've not tried anything recently. I did used to have a single dark pink eyeshadow, not sure they sell single eyeshadows now though! I'm not sure my previous comment is going to show so will just try onemore time. I find their primer really works and would love to try their natural/neutral palette. Years ago I had a lip colour palette from them - it was the only set I have ever completely used up, I loved it! I've never tried Urban Decay products. Baked Bronzer, feminine palette and their eye liners love UB. never tried any before, cant wait to win and try tho! I haven't tried them before as they're a little out of my price range. I have never tried them before, but would love to! Yes their primer is great! I've never used Urban Decay but, like Orla Ryan above, my sister does & she won't let me touch them! My daughter uses it so I try hers and occasionally scrounge the odd thing she decides she's not keen on. I love the eye-shadow pallets. I haven't myself but my teenage daughter will only wear Urban Decay and MAC so it must be super! I have the Naked 3 palette and I really love it. The naked eye pallets are amazing!!! Have used Urban Decay eye shadow before and was impressed with how well it lasted. Haven't tried but have heard a lot of great things! Don't think I've ever tried any of their products but would really like to! I have never tried any of the products before but I have always liked to. I love Urban Decay, I have a few bits and pieces (eyeshadow primer potion, both Vice palettes, liners) but my absolute favourite item is the serum infused mascara. A million times better than any mascara I have tried before (and i've tried lots!) it makes my lashes so long and thick without being clumpy, and since I started using it my natural lashes are much longer and denser. I've heard good things about this palette. the naked 3 palette is my absolute favourite!! I have Naked 3 and love it. I've never tried them myself but my girlfriend is a massive fan! my fiance bought me one of their nail varnish sets for xmas which I absolutely love and is quite a luxury for me, but I would love to try their eyeshadows.